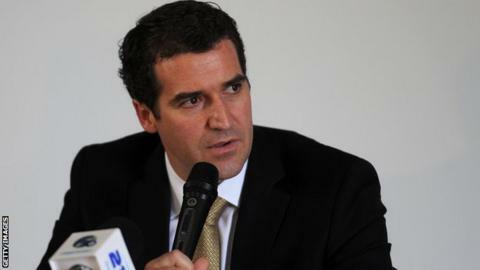 Concacaf has sacked general secretary Enrique Sanz following the allegations of corruption at Fifa. Concacaf governs the game in North and Central America as well as the Caribbean and its head, Jeffrey Webb, was arrested in May. Webb was one of seven Fifa officials detained as part of an FBI investigation that saw 14 people indicted on corruption charges. Sanz's lawyer, Joseph De Maria, said he received a letter of client's sacking. Colombian Sanz was provisionally suspended by Fifa in June following investigations carried out by Fifa's ethics committee and facts presented by the US Attorney's Office for the Eastern District of New York. A separate criminal investigation into Fifa by Swiss authorities into how the 2018 and 2022 World Cups were allocated is also under way.